Buy NieR: Automata for PS4 in India at the best price. Screenshots, videos, reviews available. 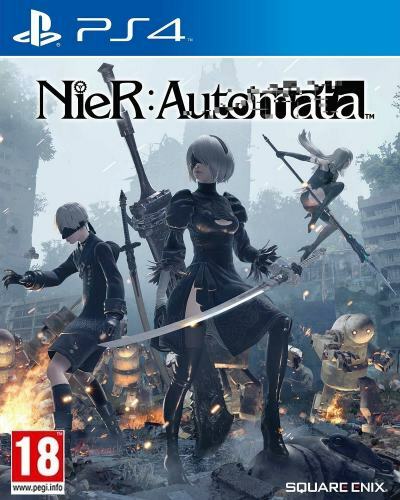 NieR: Automata is a brand new dream project by Square Enix in collaborations with world renowned developer PlatinumGames and many progressive creators including those from the original NIER game, such as YOKO TARO. An extra-terrestrial invasion has left mankind exiled on the moon. Androids are sent to the deserted ruins of our home planet in order to remove the menacing Mechanoids. The YoRHa 2B, the latest infantry model android, is tasked with the perilous mission to rid of the invaders from the surface of Earth. Where will the on-going proxy war between Androids and Mechanoids lead to?